Budget Friendly Short white birch handle, camel hair flat brushes are for use with watercolor. Each set includes 72 pieces, 24 each of flat, 1/4, 3/8, and 1/2. 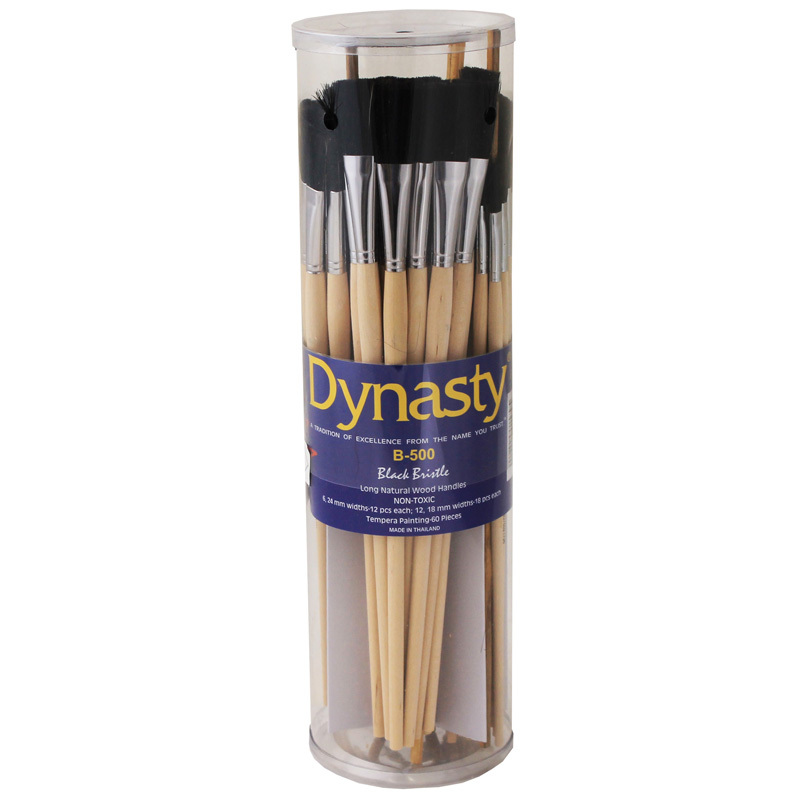 The B300 Camel Hair Brushes Flat 72 Pc can be found in our Paint Brushes product category within the Arts & Crafts. 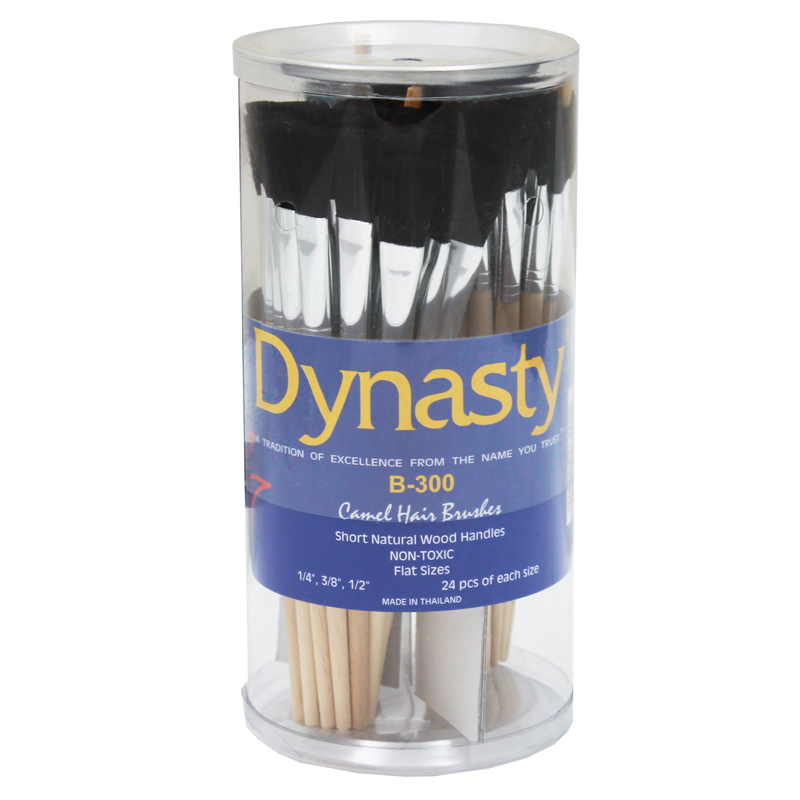 Dynasty B-300 camel hair flat paint brush set comes in a plastic storage canister that includes 24 each of 1/4 in, 3/8 in and 1/2 in sizes. 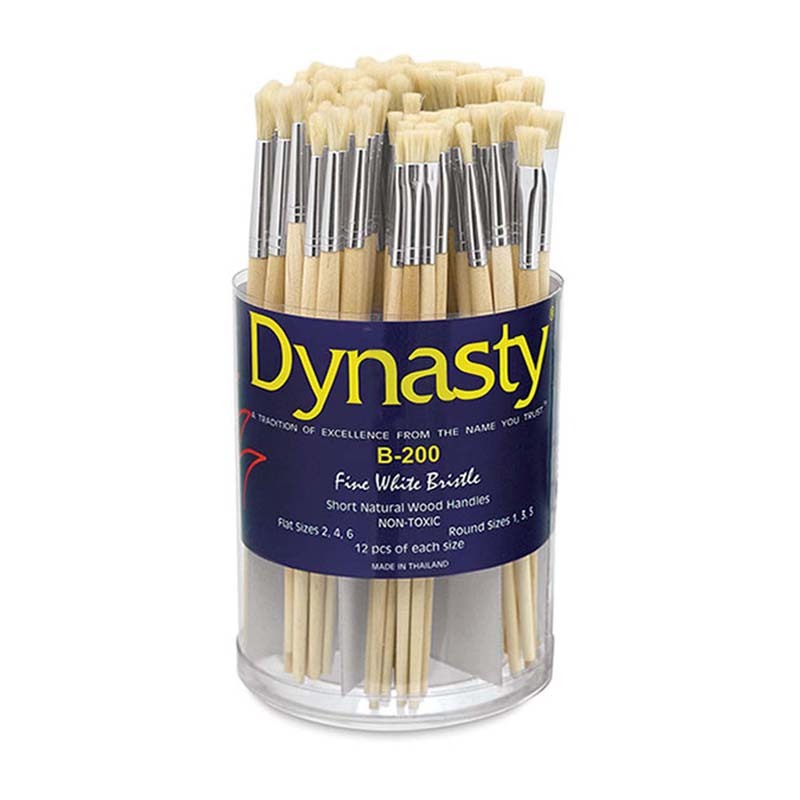 brush with short wood handles and seamless ferrules is ideal for watercolor projects. Sold as 72 per set.